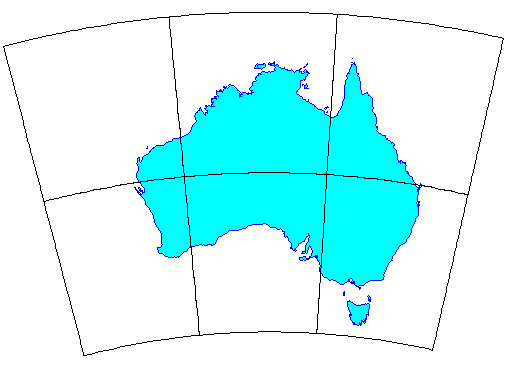 The GeoTools vector grid classes make it easy to create vector grids (also known as lattices) consisting of either polygon or line elements, each of which is represented as a SimpleFeature. Simple grids can be generated easily using either the Grids or Lines utility classes, while lower level classes are available for when more control over grid layout and attributes is required. Note: Grids are currently constructed in memory with the whole grid being built at one time. 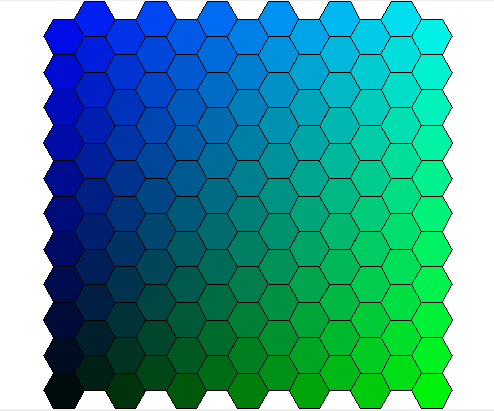 The Grids utility class provides methods to create grids of rectangular or hexagonal elements. 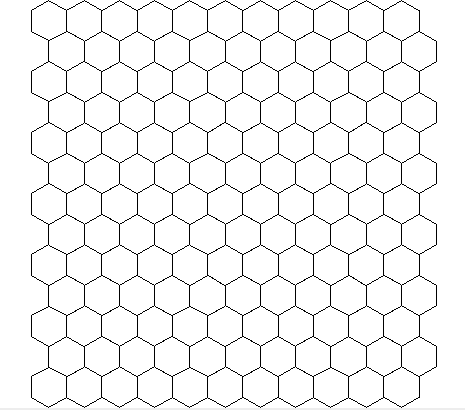 The Grids class also has methods to create hexagonal grids. These have the property that all six neighbours of a grid element lie at an equal distance, in contrast to rectangular grids where the diagonal neighbours are more distant than the orthogonal neighbours. 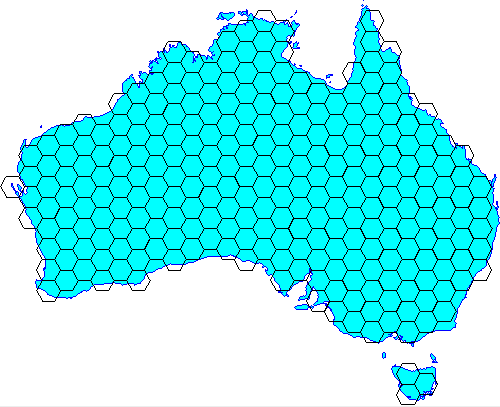 This makes hexagonal grids useful for analysing contagious spatial processes such as disease spread, wildfire, urban development and animal movement. As with square grids, there is also a version of the createHexagonalGrid method that takes an additional double argument for vertex spacing. ‘id’ (a sequential integer ID value. The GridFeatureBuilder class also offers a mechanism to choose which grid elements are created. 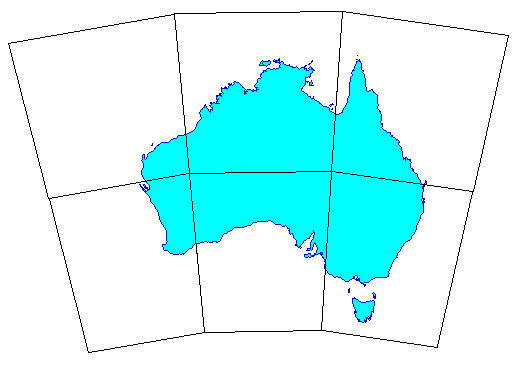 In the following example, a hexagonal grid is created with the constraint that only grid elements with their center lying within the outline of Australia are included. All of the examples above use the Grids utility class. 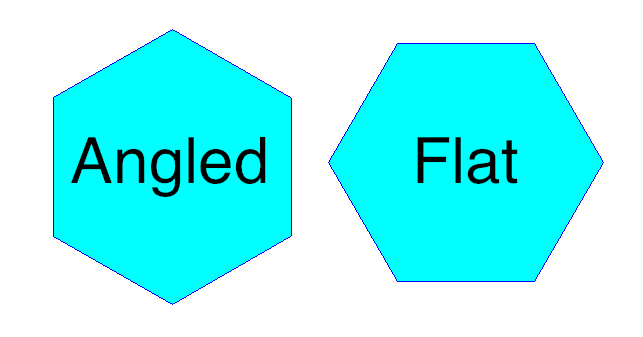 For finer control over the shape of grid elements you can go down to the next level and use the Oblongs and Hexagons classes. 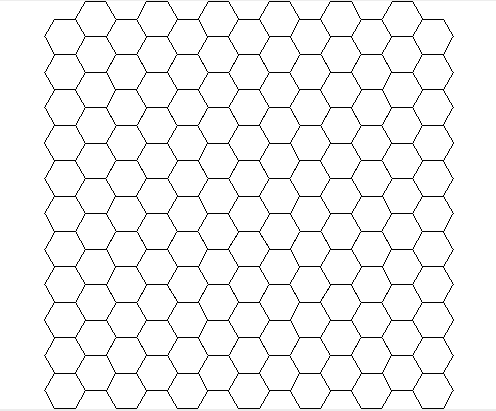 This class is responsible for creating hexagonal grid elements and grids. 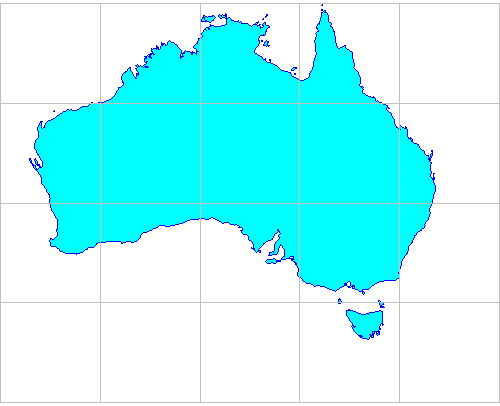 For displaying a map grid over features you don’t really need polygons. Lines will suffice and also have the advantage that they can be more flexibly styled, e.g. different line thickness, color and labelling for major vs minor grid lines.